JCI Live Special Memorial to Chef Loic. Go by and get your DVD copy at Cinnamon's Bakery today. Chef Loic's Cooking Shows. CLICK HERE for recipes. Chef Loïc was a pastry chef from the Anjou region of France and the proud owner of Cinnamons Bakery since December 2008. He specialized in French Pastries, custom chocolates and uniquely flavored ice cream which he makes fresh in the bakery every day. 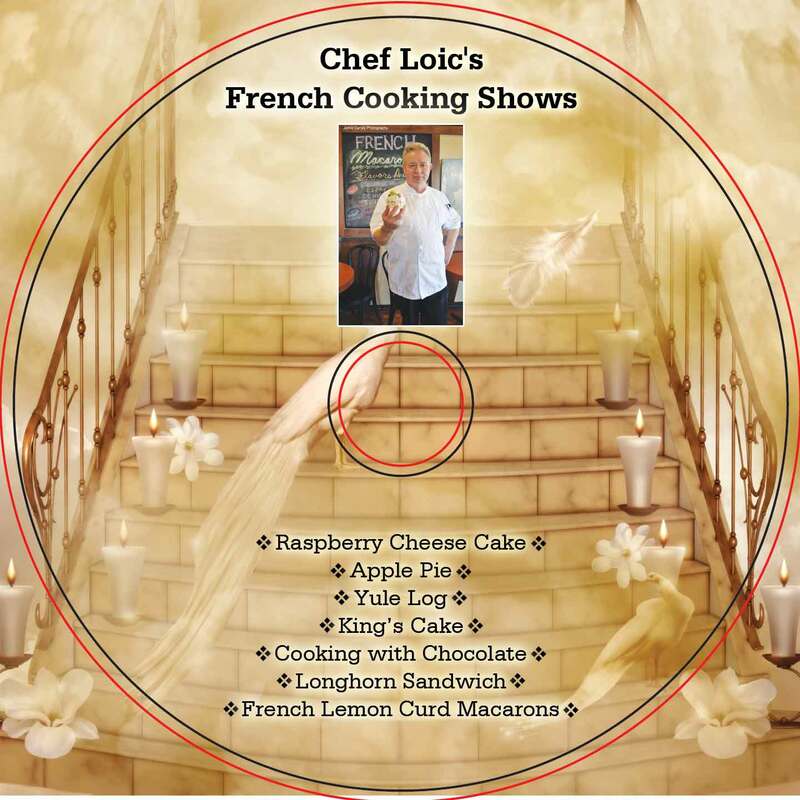 Chef Loïc made pastries and other delectables for 35 years and worked in London, the French Alps, Israel, Greece, and more exotic places such as the Bahamas, Brazil, and Mauritius Island. 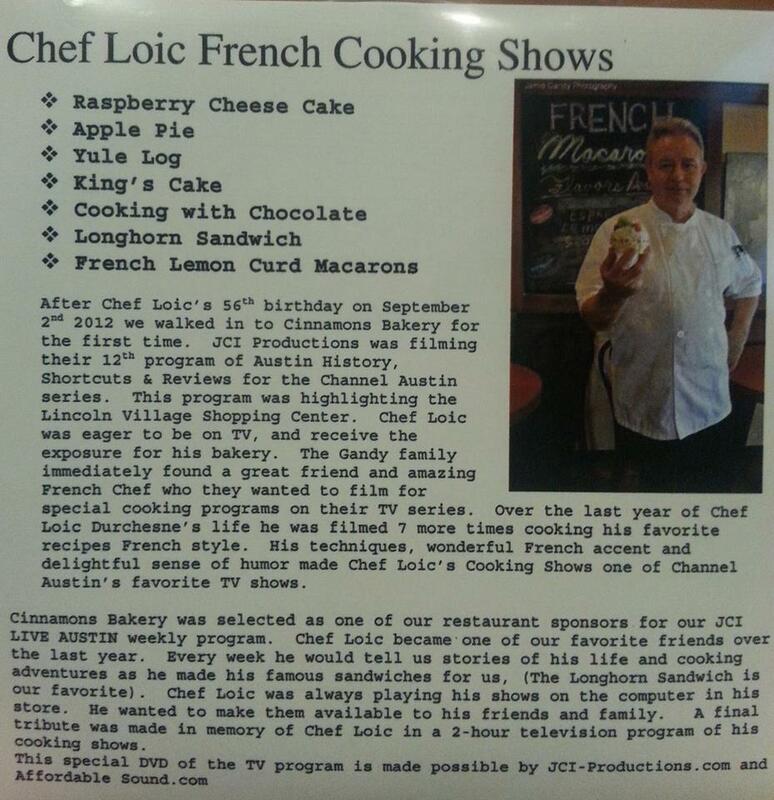 He brought his worldly experience, energetic personality, and a certain joie de vivre to Austin and to Cinnamons Bakery. Stop by Cinnamons Bakery today for a fresh-baked cinnamon roll or sticky bun. Don’t forget to ask about the French Macarons. 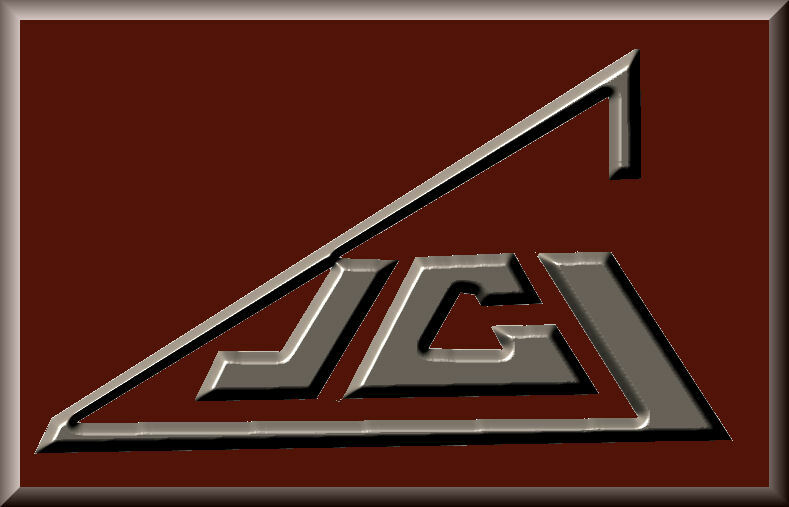 CLICK HERE for our Archives of Austin History information. And "Austin History, Shortcuts and Reviews" on Tuesdays 8 PM until 9 PM on Channel Austin 16.